Have leftover pumpkin pie? 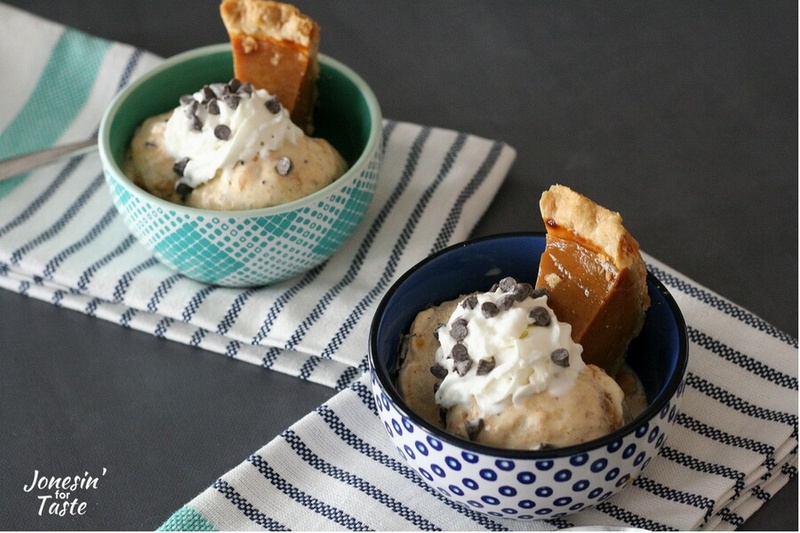 Create a new dessert with these Pumpkin Pie Ice Cream Sundaes to reinvent those leftovers! My little guy loves pumpkin pie! When he heard my idea for this dessert sundae his face totally lit up. Anything to make my little guy happy! I love pumpkin pie anytime of the year even if it is more traditionally served around Thanksgiving and Christmas. I remember one Thanksgiving where we had just one pie for everyone to share. Just one- and there were maybe 12-15 people there! I don’t even remember what kind of pie it was. It still makes me sad to think about it. It just didn’t feel like Thanksgiving without all of the pies! So now that we have established it’s not the holidays without lots of pies, there can be sometimes too much leftover pie. Gasp! I know! I just said there could be too much pie! My hubby’s family goes for the one pie per person ratio which ends up being a lot of pie! And I hate to throw away good pie! What to do with all that leftover pie? Make ice cream sundaes of course! You know a certain ice cream place that mixes in different ingredients per your request into your ice cream. That’s what gave me the idea. 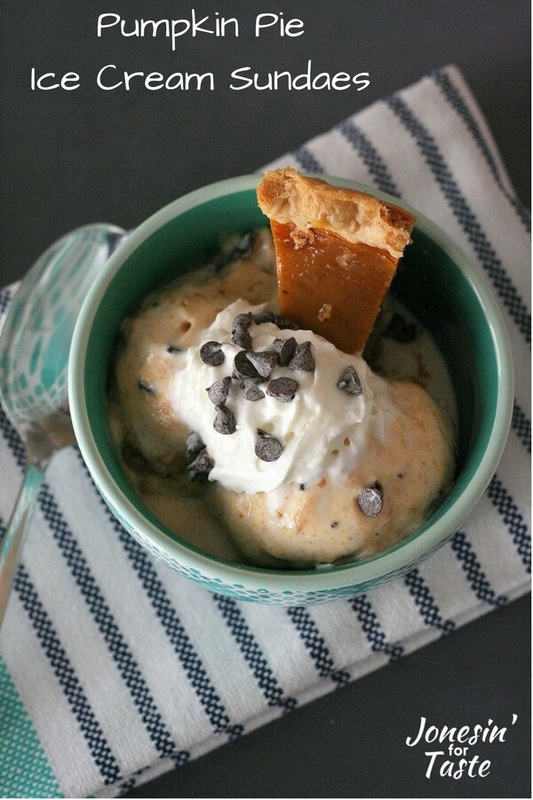 Why not mix some leftover pumpkin pie into ice cream and have an awesome non-traditional dessert that way? 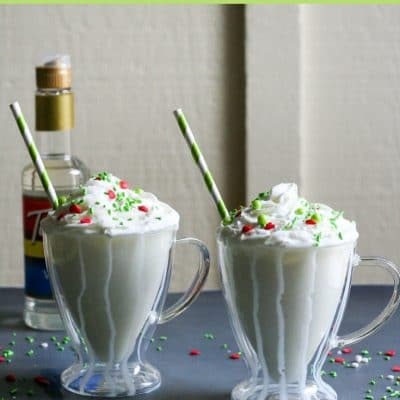 Plus, here in Southern California we don’t seem to experience seasons so cold treats are a year round hit. 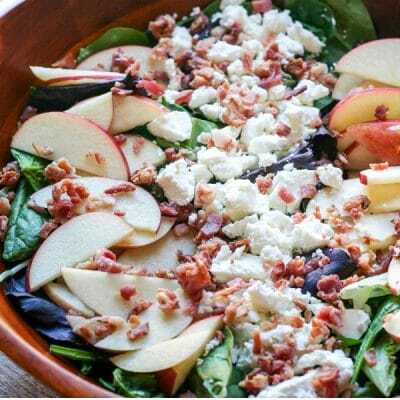 What’s great is you can mix it up and store it in the freezer and eat it weeks down the line. You can thank me later. Or don’t thank me when it is tempting you from the freezer. I’m okay either way. 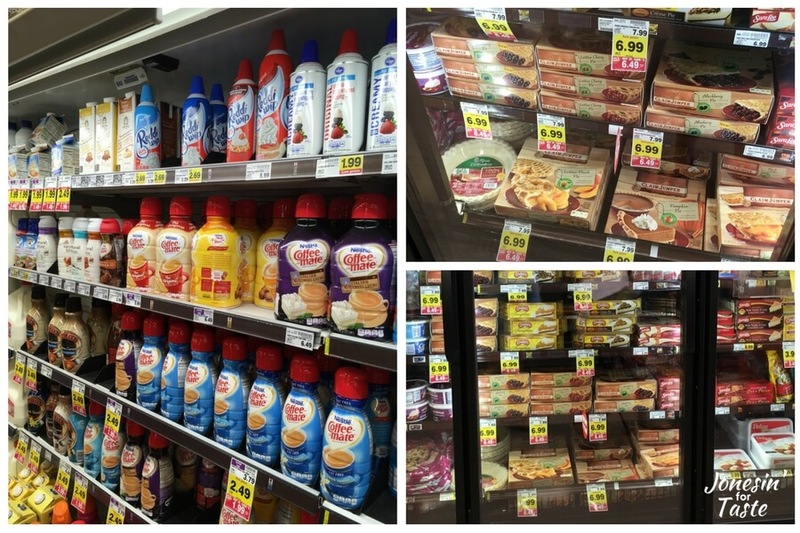 You can find Marie Callender’s Dessert Pies and Reddi-wip® products at your local Kroger banner store. Kroger banners include Dillons, King Soopers, Frys, Fred Meyer, Ralphs, Food 4 Less, QFC, Smiths, and Harris Teeter (find one near you). 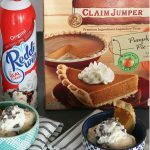 You can receive a FREE Reddi-wip® (6.5 oz) when you buy one Marie Callender’s Fruit or Cream Pie (11/16-11/24). A few fine print details, the discount is automatically applied at the register with your qualifying purchase. You must use your shopper card with purchase and is only valid at participating locations and is limited to 1 per transaction. See store for more details. The offer expires 11/24/2016. My current local banner store here in California is Ralph’s and I found the Reddi-Wip® on the dairy aisle next to the creamers and milks. The Marie Callender’s Pumpkin Pie was in the freezer desserts section. To soften the ice cream, I tossed it in my kitchen aid and turned it on low for 2 minutes. Just to break it down a bit. Then I chopped up a quarter of a whole pumpkin pie and tossed that in too. Turned it on high for 30-45 seconds. And that’s it! Easy peasy! 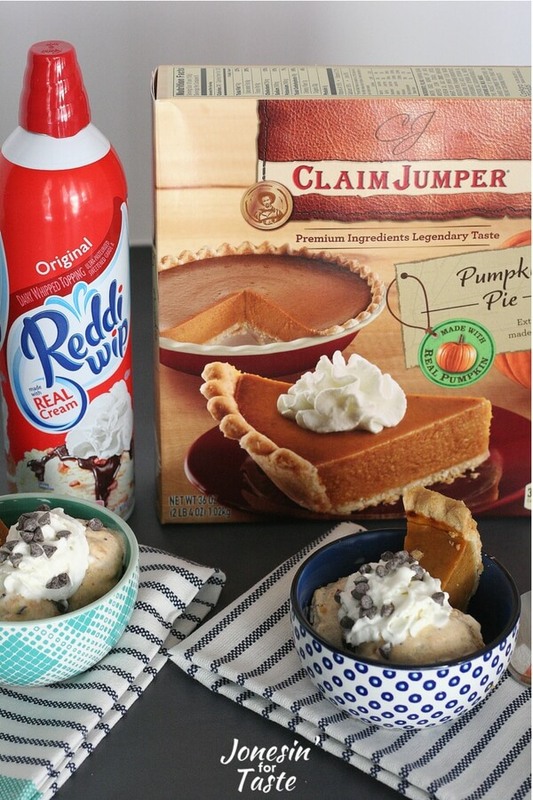 I topped the Pumpkin Pie Ice Cream Sundaes with Reddi-Wip® because it is made from real cream and some mini chocolate chips to make them “fancy”. What kind of pie is an all-year favorite? 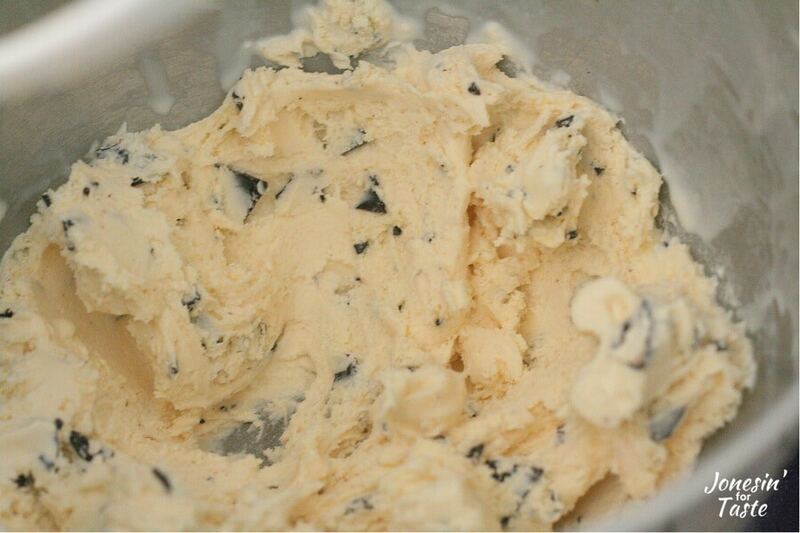 Using a stand mixer or a hand mixer, beat ice cream for 2 minutes on low speed, or just until softened. 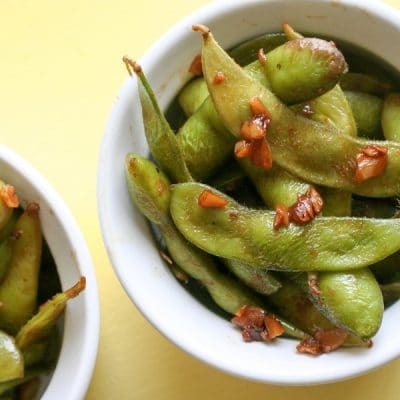 Add chopped pumpkin pie pieces and beat for 30-45 seconds. Just to blend. 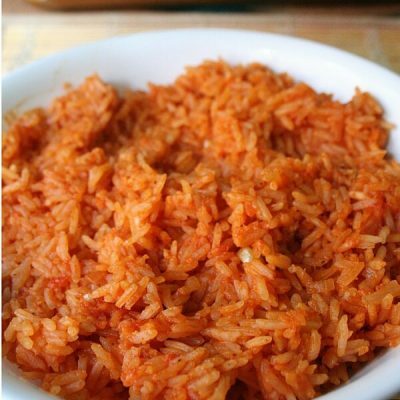 If not serving immediately return to freezer in a sealed container. 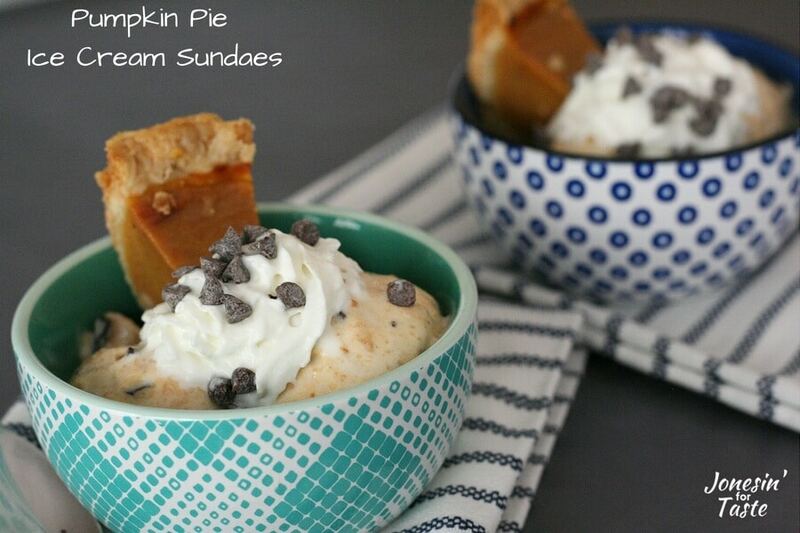 To serve, place a small slice of pie in a small bowl, scoop 1-2 scoops ice cream mix, top with whipped topping and mini chocolate chips.